Tasted on June 28, 2012. 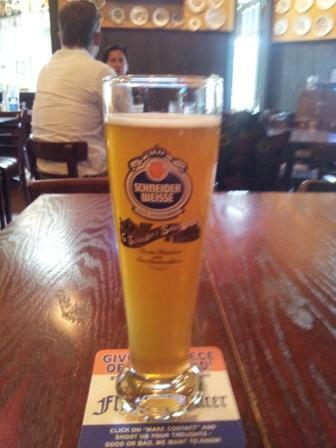 The Sneider is light yellow color in the glass, a little cloudy looking with a good head. Nose of soaked pears, brown spices and sourdough bread. Flavors of lemon, brown spices and minerals. Very good. Let’s call this one four out of five stars. 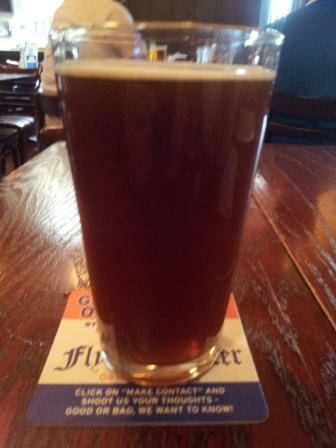 The Spaten is dark copper color in the glass, a little cloudy looking with a good head. Nose of a little smoke, malt and a bit of caramel. Flavors of malt, toffee and minerals. Good. Let’s call this one three out of five stars. 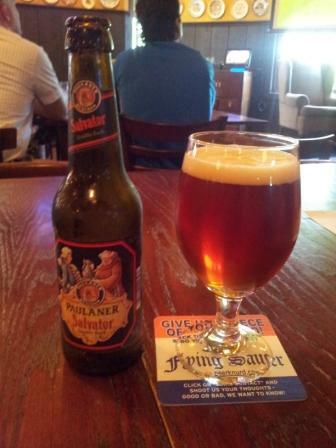 The Paulaner is copper colored in the glass, fairly clear looking with a good head. Nose of lemon peel, paraffin and spices. Flavors of roasted nuts, malt and a hint of licorice. Good to very good. Let’s call this one three and a half stars out of five. Thanks for the comment ithinkaboutbeer. Always appreciated when my readers take time to comment. Just checked out your blog and now I’m following it via RSS feed. Good work. Thank you! And welcome to I think about beer.